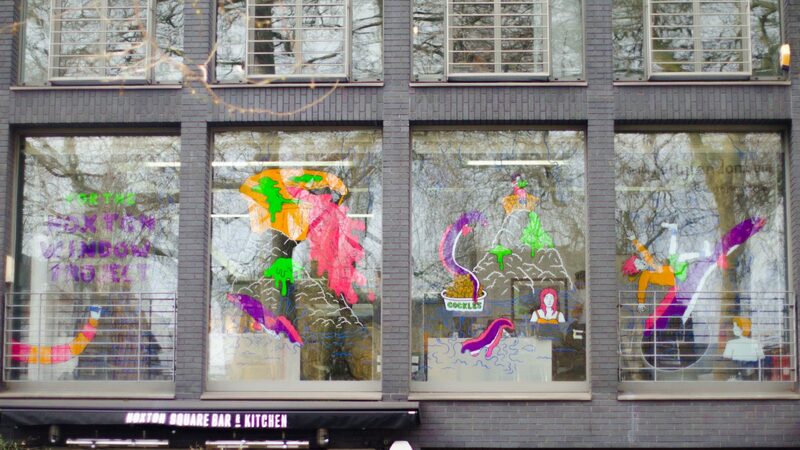 This month’s Hoxton Window Project featured the super talented Matt Johnstone, a London-based illustrator whose hand-drawn style packs a punch with its vivid colours and humorous content. 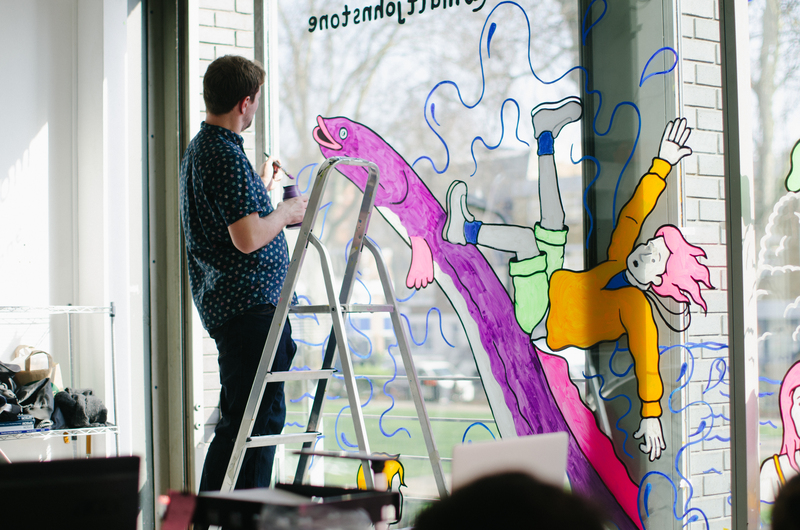 To spruce up our windows and celebrate the end of winter, Matt created a fantastical world of eels, pie, mash and parsley sauce on the massive glass surface in our office. 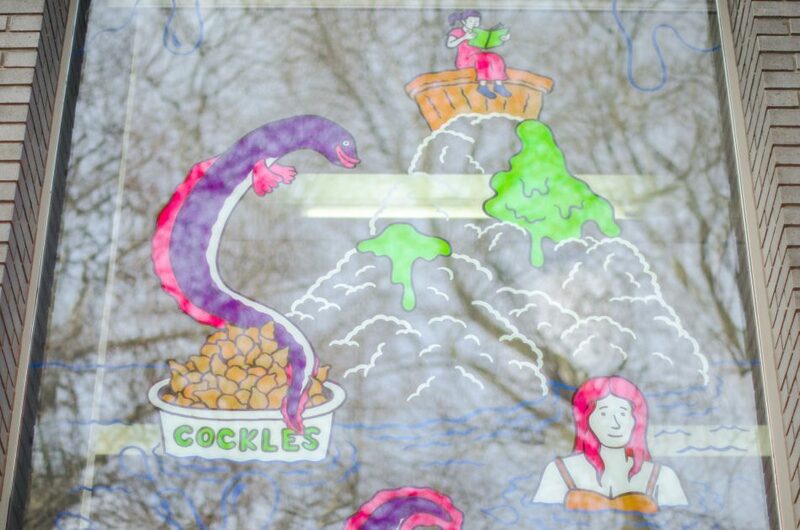 He poked fun at the East End tradition of eating this British fare by drawing a food landscape that had come to life: eels doing their best to escape from a pile of mashed potatoes, people jumping out of pies and swimming in parsley sauce. 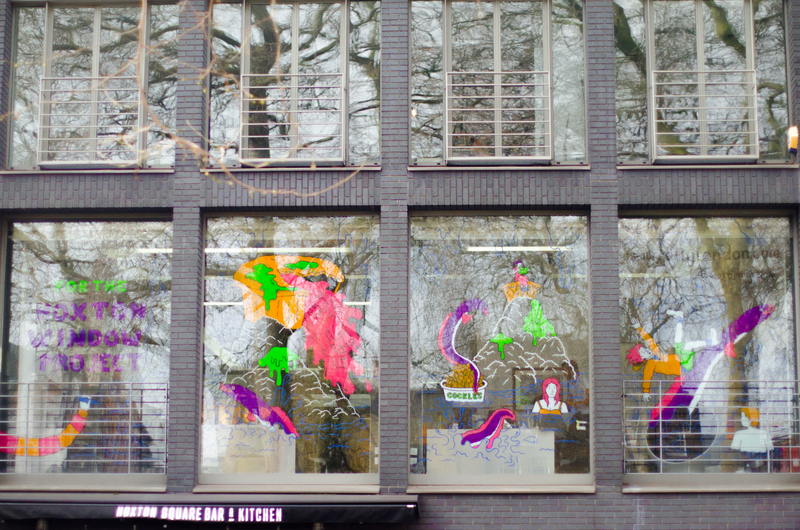 It was one of our best Hoxton Window Projects to date! 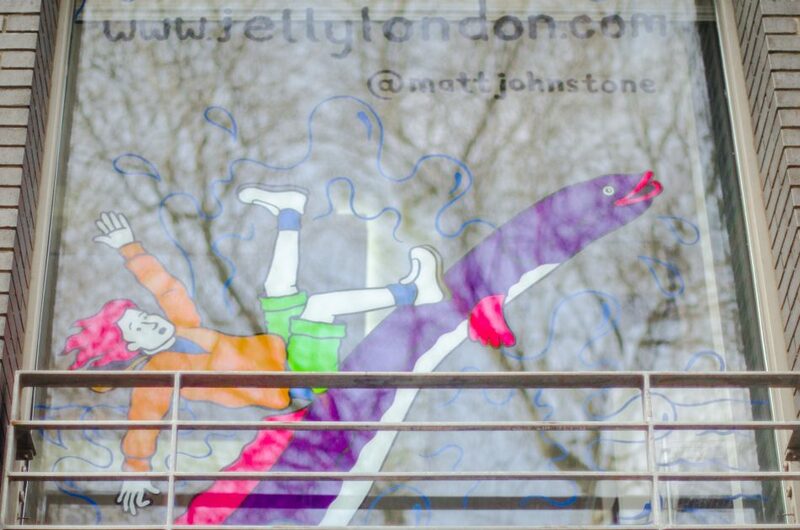 Matt has worked with a variety of clients, including Nokia, Volvo, Eurostar and Greenpeace. 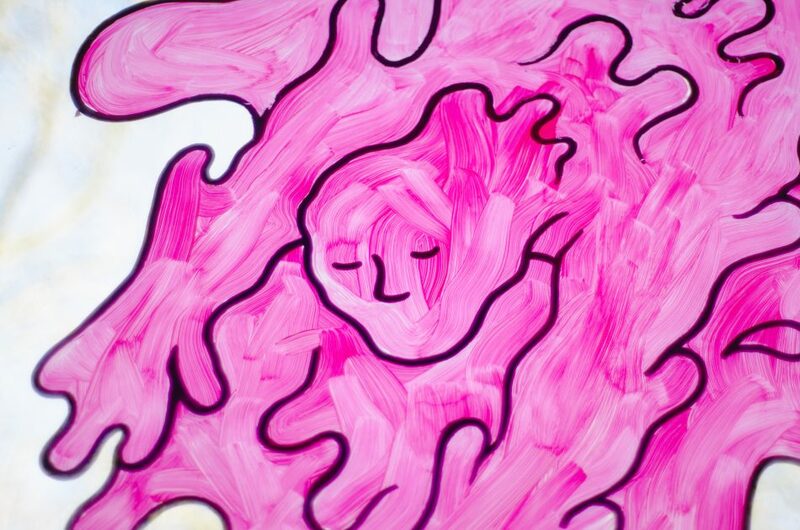 To check out his work, click here.